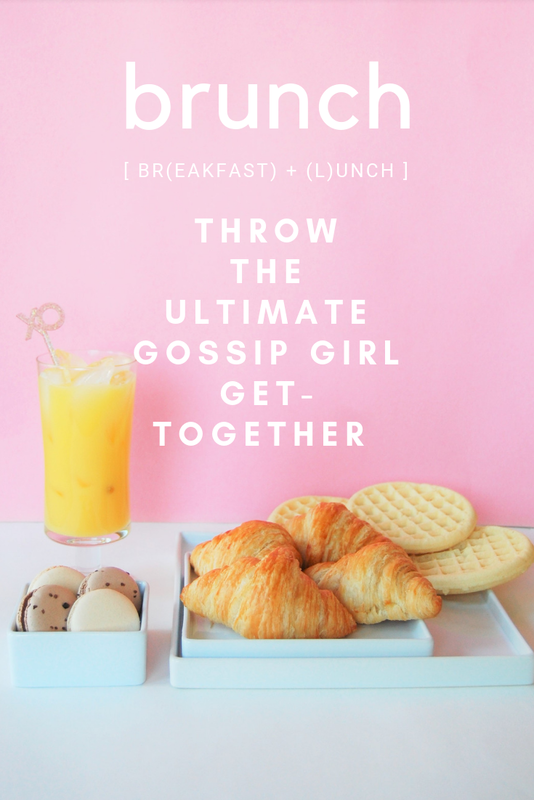 It's been way too long since I've shared a post but I couldn't resist telling you guys all about the Gossip Girl inspired brunch I hosted for my very best gals! Read on for all of the tips to host your own GG brunch for Galentine's Day or any day of the year! This was probably my favorite part of the whole day because there are just so many iconic breakfast foods from my favorite upper east siders! Mimosas - for pretty much every character but hold the Dom Perignon, I'm on a budget! Galentine's Day is the perfect time to host this party for many reasons... I was so excited when I stopped at the store earlier this month and all of the Valentine's decor was out! I hung the banner on the mantle and placed the balloons in chairs. I also added one of my favorite GG phrases to my light up message board (from Marshalls)! My BFFs are always up for a theme so they gladly wore their cutest PJs when they came over for brunch! I'm linking a few of my favorites below because I cannot resist a pajama set! Dreamy Shorts Set - I just ordered these as a gift for one of my besties! Solid Button Down - I have this set in black (very Blair Walforf-esk) but I love the green option! Striped Cotton PJs - While these are the most expensive option of the three, I received a pair as a Christmas gift and honestly they're one of my favorite pieces of clothing! Don't forget to pass out Gossip Girl Galentine's to all of your besties! Free printable here! !